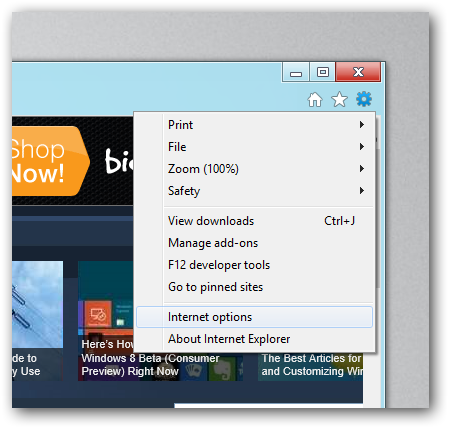 Windows 8 will ship with the Metro version of Internet Explorer as well as the normal desktop version. Unfortunately, the immersive version is the default web browser and you might not want that on a desktop or laptop. 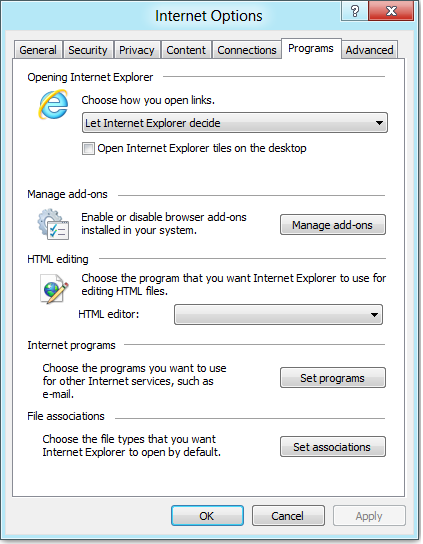 The settings for both versions of Internet Explorer seem to be controlled by Internet Options available through the desktop version. 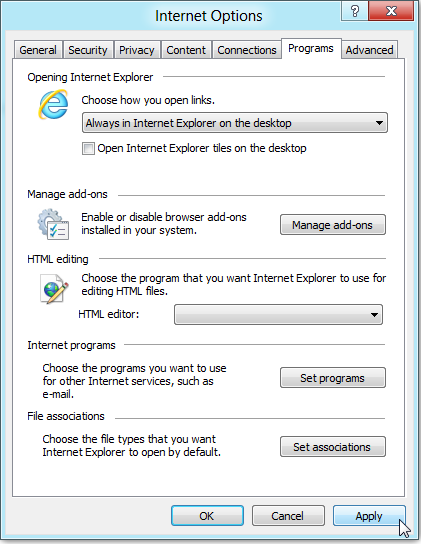 So open the desktop version of Internet Explorer and click on the tools button and choose Internet options from the menu. 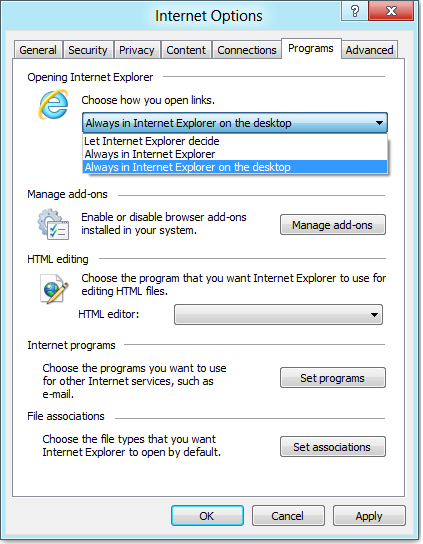 Now change the Choose how you open links option to Always in Internet Explorer on the desktop. Hit the apply button and you’re good to go.